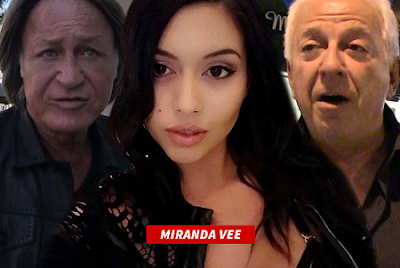 Miranda Vee met with Marciano to discuss a possible test shoot with Guess, but claims he sexually harassed her and then "passed" her on to Mohamed. In her Instagram post, which included Upton's original claim, Vee goes on to claim she set up a professional meeting with Hadid, but it turned out to be "just me, him & champagne where he date raped me in a apartment." Mohamed tells TMZ he did agree to meet Vee about 2 years ago because she claimed to be a fan. He says, "When we met it was not a date and not once did I touch her." He calls Vee's story outrageous and "totally untrue" and adds, she should go to police, not social media, if she wants to level allegations against himself or Marciano. In her post, Vee claimed Marciano and Hadid forced her to sign a non-disclosure agreement. TMZ's Guess sources say Marciano did have Vee sign an NDA after she threatened to go public with a "bogus" story. For his part, Hadid says he's already spoken to his attorney and plans to file a defamation suit against Vee. We've reached out to Vee, but no word back yet.